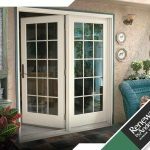 The French patio is the quintessential design for patio doors. It’s easily the most recognizable style and is a staple of classic and contemporary homes that need touch of timeless appeal. 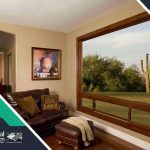 When looking for the right patio door design and style, considering how it operates is not enough. 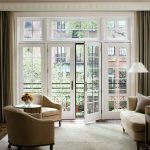 Sure you can choose either sliding or hinged French doors based on the amount of space you have, but another important thing you should also look at is your home’s architectural style. 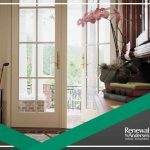 To enhance the aesthetic appeal of your home’s interior, your chosen Renewal by Andersen® doors must have matching grille patterns. 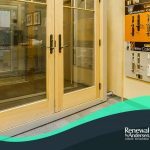 Whether you’re replacing your old entry or patio doors, there are several general features you should look for in your new hardware. 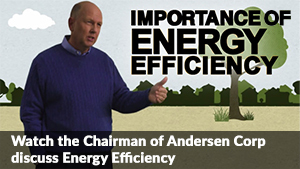 These factors go beyond their basic functionality, and can assist in the ventilation and insulation of your home.